INCREDIBLE VIEWS, Two lots, Great LOCATION, in town and close to shopping, schools, dining, recreation, Sedona and more. 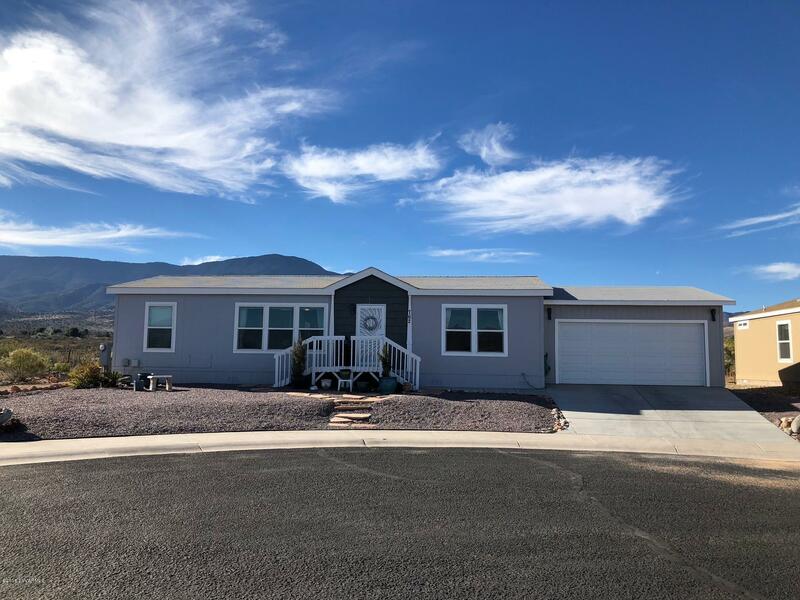 3 bed 2 bath in quite cul-de-sac, kitchen island, separate laundry room, upgraded cabinets throughout. Views of Mingus Mtn. & Sedona Red Rocks. Tax amount reflects two parcel amounts. Parcel 406-06-599 also included in sale for combined .29 acre. Motivated seller. Bring all offers. Seller is licensed (inactive) real estate agent in AZ. Buyer may have to install front porch within 6 months after purchase?